This month we will celebrate the 501st anniversary of the Reformation. One of the thrilling aspects of the reformation is to engage the changing church. For so long the church was focused on being a place to gather. A time when success was driven by butts and bucks (how many people were in worship and how much money was in the offering plate each week). I think we are past the time of the church simply being a place to gather. No longer can we simply judge the “success” of a congregation by these measurements. The idea of “if you build it, they will come” is no longer a reality. Phyllis Tickle wrote in her book, The Great Emergence that “every 500 years, the church goes through a rummage sale, and cleans out the old forms of spirituality and replaces it with the new ones.” In essence, the church goes through a massive reformation. This happens to be that time. While the church can still exist within the walls of a building, it has the capacity for so much more. We can be a church that both gathers and scatters. We can bring the Good News of Christ wherever we go…the places we work, eat, and drink. That is one of the exciting things about having my ordination take place in a brewery. It continues to live into the changing church and our capacity to reach out to people in all kinds of unique places. It is also why our offering will go to the Live On Endowment Fund. This fund continues to support seminary students, campus ministries, new missions, and redevelopments (like Celebration). They are empowering leaders to think about doing church differently. We are continuing to be made new through a God that is alive and active in the world and in us. While being made new we will continue to celebrate Christ, Care for Others, and Serve the World. It is an exciting time friends! Now that was holy! What a meaningful, delight-filled Holy Week. It was a pleasure to travel with you all through the wilderness of Lent into the sacred Triduum – the three day Passion of Christ. Good Friday took a solemn turn. We gathered around the barren altar to pray, sing, read and linger in the hollowness of grief. We joined the ancient church in Solemn Reproach – hearing Jesus cry out, “O my people, O my church, what have I done to you? How have I offended you?” The same story of Salvation that we celebrated on MaundyThursday, became a reminder of our separation from God. Death does not have the final word! Sunday morning brought Good News of Resurrection and new life. We celebrate that we are an Easter people! In her book, The Three Day Feast, Gail Ramshaw expresses it like this, “Christians keep Easter in a big way because the death and resurrection of Christ keeps us.” Yes indeed! We celebrated this Good News with doughnuts and candy-filled eggs and each-other. The story of our salvation is shared one sacred meal at a time. Gathered around tables of grace, we are fed and nourished by Jesus. Gathered around tables, the faith is passed from one generation to the next. Gathered around tables, strangers become neighbors. We eat simple food that becomes sacred. We hear simple stories that contain the divine. Sacred meals are sprinkled throughout the Bible. Far from a feast, Adam and Eve’s relationship with God is transformed as they eat the fruit of the tree of good and evil. The Israelites eat manna in the wilderness as they dream of milk and honey in the Promise Land. Exodus 12 outlines the feast of unleavened bread – the meal honoring the time the angel of death passed-over the homes of the Israelites. This Passover feast is the same meal Jesus asked his disciples to prepare in an upper room. There the Passover feast is transformed into a new covenant – a sacred meal of wine and bread, blood and flesh. We remember Jesus’ Last Supper and the institution of Holy Communion each Maundy Thursday. This year, instead of Beer & Hymns, we’ll gather around common tables to feast on the story of our salvation. We’ll learn how our Jewish brothers and sisters mark the Passover with a Seder Meal. * Inspired by their faithful tradition, we’ll read scripture, share a common meal and expect Christ to be revealed in our midst. So I invite you to enter the story of our salvation. I invite you to gather around tables of grace, to eat simple food that becomes sacred and to hear simple stories that contain the divine. In this, Christ will certainly be revealed. *Christian Theologians caution the faithful about reenacting Seder Meals. They worry at will not honor our Jewish brothers and sisters. Check out this article from Christianity Today or this article from the ELCA for more information. Wait for it. Wait for it. This Sunday, December 3rd marks the beginning of Advent, a season of holy longing. With Christians around the world, we eagerly anticipate the birth of Christ. We prepare room for Jesus – in our daily lives, in our homes, in our relationships. This is an active waiting filled with hope and great joy. And when Christmas finally comes, it’s worth the wait. As you and yours wait faithfully, there’s no need to sit idly and twiddle your thumbs. Think of these as holy possibilities, not holy obligations. I commend to you this Active Advent Calendar. It contains a list of reflections and activities that embrace the waiting and help you prepare for the birth of Jesus. If you’re a rule follower, you can begin today, December 1 and continue through to Christmas. If you’re a rebel, I dare you to meander throughout, pick your favorites, change up the order, do what you will. Either way, I hope that this time of active waiting will create space in your life so that Christ might manger with you. Create space for your nativity, as you set it out take a moment to retell the story. Don’t have a nativity? Ask Pastor Jen to help you make one or find one. Make a list of 10 things that bring you HOPE. Keep awake! What makes you tired or bored. How might you be more awake to God at work in these things? Wake up 10 minutes early, use the time to execute a Random Act of Kindness. Contribute toward the Christmas Food Bag collection for our friends at Holmsley Elementary. Read about Christ the Light (John 1:1-5) then go for a walk in or around your neighborhood and look at Christmas lights. Make a homemade card for someone and hand deliver it. Introduce yourself to a neighbor that you have never met before. Make a list of 10 places that bring you PEACE. Prepare the way of the Lord! What might it look like for you to prepare Christ room in your home and your heart? Buy some water, coffee, cocoa, snacks, etc. to give to people you meet on the street. Read Luke’s Nativity Story (Luke 2:1-20) then retell the story in your own words. Find 5 things that you could do without and donate them. Read a newspaper or watch the news, then pray for all the places that need peace in our world. Sit still for 5 minutes and imagine what peace looks like. Make a list of 10 things that bring you JOY. Do not be afraid! Think about what makes you afraid. Is it realistic? How does it hold you back from living fully? Bake some treats for Bethesda’s Cocoa & Cookies gathering, then come mingle. Read Matthew’s Nativity Story (Matthew 1:18-2:12) then retell the story in your own words. Buy something you’d really like to have for yourself and give it away. Give $5 to someone who looks like they could use a little joy and love. Create some paper snow-flakes and hang them up for others to enjoy. Make a list of 10 people who taught you how to LOVE. Let your soul Magnify the Lord. Find a Christmas Eve Worship to attend with your people. Sing Happy Birthday to Jesus! It’s Annual Meeting time, hooray! No really, it’s a delight to do this holy work – the work of being church together. While some may dread this ‘business’ of the church, we honor it as holy work ordained by God. On November 1, we gathered for the first part of our Annual Meeting, the Congregational Forum. This was a time to review the past year and to discuss possibilities for the future. And now we look to the second phase, the Congregational Meeting slated for Sunday, November 12. This portion of the meeting is intentionally nestled in the heart of 9:30a worship to remind us that the work we do is sacred. We’ll take a look back through 2017 and look with hope into 2018. You should come, it won’t be that bad. Around this time, we also hear our annual reminder of our guiding principles and firm foundation. These are the core commitments that draw us together as a community and keep us focused. Celebrating Christ through worship, music, ritual and the creative arts. Caring for Others through fellowship, learning and pastoral care, primarily within the context of small groups. Serving the World through community organizing and development, social outreach, and environmental stewardship. Simple: We do only those things that accomplish God’s purpose for our church. Great: We will be the best at what God is calling us to be. Emergent: We will celebrate God in the rhythms, rites and practices of the ancient church while seeking God in current movements and future stirrings. God shows up in the most surprising and unexpected ways. Innovation is good for God’s Church. We are a Believe the Best Community. There is often a gap between what we expect and what we experience. When this happens, we can choose to fill the gap with BELIEVING THE BEST or ASSUMING THE WORST. Believing the Best is based on trust and goodwill. Assuming the Worst is based on distrust and suspicion. As a community, we commit to Believing the Best – of our God, of ourselves and of others. Guided by trust and goodwill – our community reveals the Kingdom of God here on earth. There you have it. This is who we are as a community of faith. 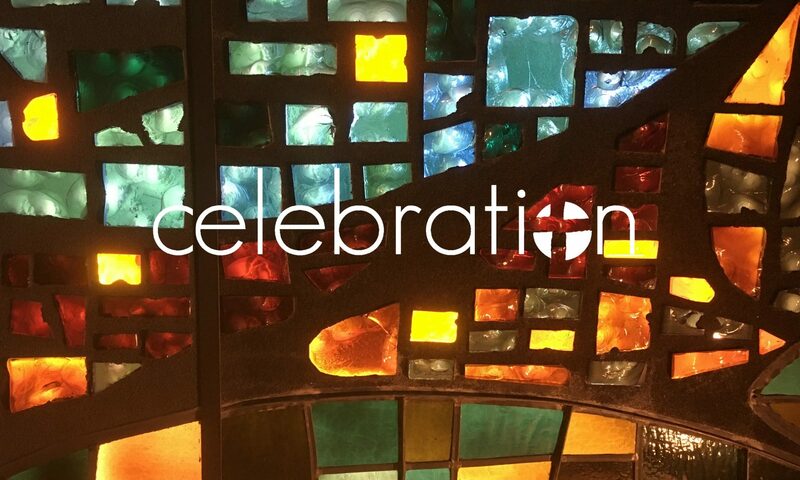 Let’s celebrate this holy work that God has called us to do.